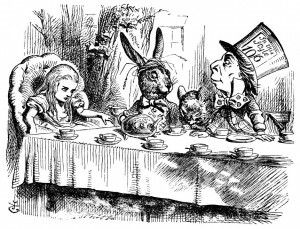 I wasn’t one of those kids who grew up with Alice in Wonderland. In fact, I remember being pretty scared of the entire story. I never watched the cartoons or read the book. I felt like it was composed of too much oddities that my mind cannot really handle, and its weirdness borders on fright. I guess I just couldn’t see the “wonder” that this piece of literature has. Maybe I’m the weird one? 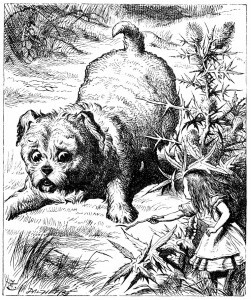 But anyway, Alice’s Adventures in Wonderland is a classic, and a short one at that, so I decided to finally read it just so I can add it to my classics reading challenge this year. I figure it may not be as weird and scary as I thought it was when I was younger, and the ebook is free so there’s no reason for me not to read it. 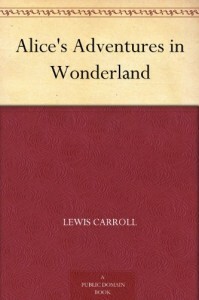 Alice’s Adventures in Wonderland is a novel written in 1865 by Charles Lutwidge Dodgson, under the pen name Lewis Caroll. It tells the story of a girl named Alice who was bored one afternoon and follows a White Rabbit with a watch down a rabbit hole. 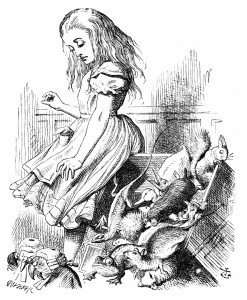 She falls into a fantasy land filled with strange, talking creatures such as a talking mouse, lizard, a blue caterpillar who smokes, the sleepy dormouse, and of course, the Mad Hatter, the Cheshire Cat and the Queen of Hearts who keeps on ordering to remove the heads of random people. 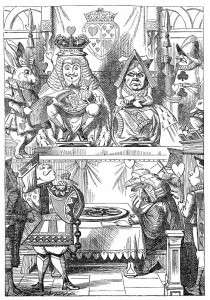 According to the Wikipedia article, Alice’s Adventures in Wonderland is considered as the best example in the literary nonsense genre. Truth be told, I have no idea what was happening half the time, and what the point of all of it was. I was expecting some kind of plot to unfold, but there really wasn’t. There was just…lots of absurdity. I guess all my fantasy reading was used to a main character having a specific big goal to work on for the rest of the novel with things happening to push the hero/heroine towards that goal. 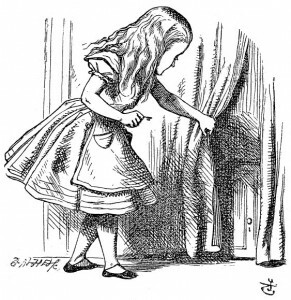 Alice is different. Not really bad different, or even scary different as I thought when I was younger. Just…well, a little bit odder than what I usually read. I can totally relate to what you said about not getting it. Some classics really have that effect on contemporary readers. 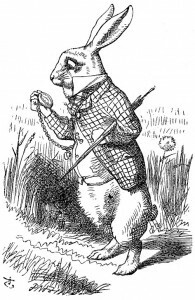 Alice in Wonderland is short, though, so you may finish it quick. I just feel that it’s full of gibberish sometimes. LOL.